COMMERCIAL Property Made Easy is one of the most highly-regarded blogs … for high-income and high net-worth Commercial property investors. As such, you’ll be given access to around 2,000 eager subscribers for each article — which also gets distributed to a further 4,200 followers on Facebook, Twitter and Linkedin. By joining our current Contributors and publishing articles on Commercial Property Made Easy, it means you can gain exposure to a rather wide targeted audience. As such, you’ll ensure your articles are read by current and potential investors — living both here in Australia, and also overseas. But as you can appreciate, we can only accept articles from regular guest contributors. If your Application (below) is approved, you then need to send us your Bio and a photo of yourself. 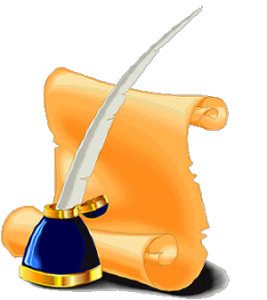 Articles should be at least 300 words in length. They must be original work from you as the author. Articles cannot contain any blatant self-promotion (but there will be a link back to your website within your Bio). They should include an image (no smaller than 600px x 350px), which is either royalty-free or has a license or term-of-use that gives the right for commercial use. Each Contributor must abide by the Content Contribution Policy below. 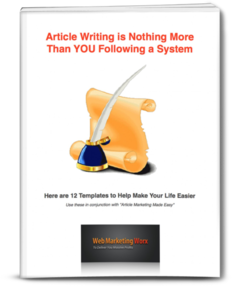 If you ever find you need a hand in with any of your submissions, simply download these 12 Article Templates … to help kick-start your thought process. However, should we find anything inappropriate for Commercial Property Made Easy (such as articles based on irrelevant topics, or not up to our quality standards) … we will naturally ask you to improve the article, or may reject it completely. There may be occasions where Commercial Property Made Easy wishes to publish your article at a future date (particularly, in the case where a topic has been similarly covered on the blog in recent weeks). NOTE: These guidelines are subject to the Contributor’s Agreement, and may alter from time to time. So, please check regularly for any changes. Once approved, you are invited to contribute your work to Commercial Property Made Easy. That way, your work will have access to thousands of readers every day. By contributing your work to Commercial Property Made Easy, you will grant Commercial Property Made Easy a royalty-free, perpetual, irrevocable, fully sub-licensable, commercial, non-exclusive right to … use, reproduce, modify, translate, adapt, publish, create further derivative works, transmit, distribute, perform, display and delete such content (in whole or in part) worldwide and/or to incorporate such content in other works in any form, media or technology now known or later developed. MAYBE you would also like to advertise the Services your Firm can provide.